When he was in the APC he had this private jet and you people didn't remember that you should search him. But as soon as he emerged the PDP candidate, the story 'change'. Nigerian politicians. Funny bunch. Shehu Sani, senator representing Kaduna central, has advised the federal government to apologise to Atiku Abubakar, presidential candidate of the PDP. In a tweet, the senator described the search of Atiku’s private jet by security operatives as an “act of intimidation and harassment camouflaged as a routine”. On Sunday, a combined security team, including operatives of the Department of State Services (DSS), searched the jet that brought back Atiku to Nigeria from Dubai. Describing the act as overzealous, Sani said the federal government should be humble enough to tender an apology. 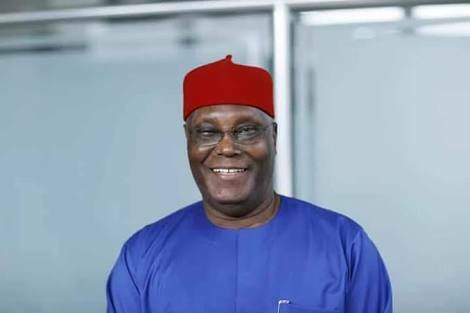 “The overzealous acts of the security personnel at the Abuja Airport against the former Vice President Atiku stands outrightly condemned. We have been through this in our history. Intimidation and harassment camouflaged as routine. The FG should be humble and apologize to him,” he tweeted. According to reports, the combined security team were said to have been searching for foreign currencies, while they allegedly stripped everything including the luggage and also searched the pilot and co-pilot.